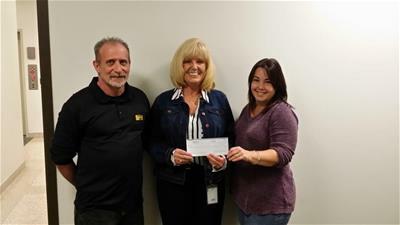 According the 911 Director Gail Lane, the 911 Center staff raised nearly $1,000 to go toward their first annual Secret Santa Project. In addition to contributions made by employees, funds for the project also came from a local business. “Deborah Hamm with All Tune and Lube Total Car Care in Gainesville heard about the Secret Santa Project, and she pledged 5 percent of her company’s overall sales for a week to go toward the project,” said Lane. Lane said once all of the funds were collected, her employees bought gifts for four families with children between the ages of one and 17. “We were given a wish list for each family and were able to purchase everything on the list and also purchase gift cards for the older children,” she said. Lane said the 911 staff plans to continue to the project next year.